I will miss Justice Scalia and so will my clients. Many see him as an originalist guided by conservative, law and order principles. I disagree and I have so advised my clients. Justice Scalia loved the Constitution exclusively. He never cheated on it. He never disrespected it. If only all of our judges would treat our Constitution with that same devotion and fealty! I practice criminal law because I, like Justice Scalia, love our Constitution. In my practice, rarely a day passes without consideration of the First or Second or Fourth or Fifth or Sixth or Eighth or Fourteenth Amendments. It is a living document that has been strengthened by Justice Scalia’s interpretations. I doubt if President Reagan would have nominated him to the Supreme Court if the late president would have known the opinions that eventually flowed from his scholarship. The right of confrontation was eroding for years until Justice Scalia healed it back to health. Justice Scalia reinvigorated juries by arming them with the power to weigh in at sentencing. In other words, Justice Scalia took away some powers traditionally reserved for judges and delivered them to juries. Can you imagine a judge ordering his fellow judges to back off the way they have been doing business for years and share their responsibilities with 12 lay folks? The right to be free from unreasonable searches or seizures is stronger today because of Justice Scalia. The police today need to be more mindful of the Fourth Amendment. It is not that Justice Scalia has made their job more difficult. Rather, through his profound understanding of our Constitution, he has made them better better stewards of the rights of the people. If one were to read Justice Scalia’s opinions superficially in the field of criminal law, one might conclude that he was a leftist, socialist, who disdained the police and desired to expand the rights of the individual at all costs. We know that he was a devout Catholic, with nine children who hobnobbed with Republicans. He was, after all, appointed by President Reagan. He was considered to be part of the conservative wing of the Supreme Court. 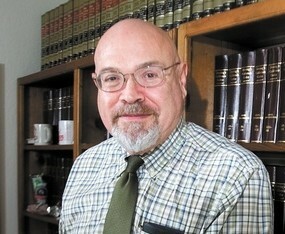 His opinions in cases outside of criminal law may be more consistent with that assessment. But in my profession, in the practice of criminal law, there was none more influential. His opinions transcended political labels. I will miss Justice Scalia, as will my clients, as will all Americans. Today the Constitution is crying. The Constitution is what separates us from any other Nation in the world. We need justices like Scalia on the Supreme court for that very reason. Steer clear of people that would minimize the importance of the constitution and the Bill Of Rights. This ovation reminds me of the path least traveled, who would have guessed? There is a very fine slice of humanity that knows anything about the works of the Supreme Court yet the media will speak to it as a matter of fact. I understand loss and how it can be felt by family and friends but really, are we qualified to understand the public loss and why? Ah yes, your clients, persecuted constitutional scholars each and every one of them, will surely miss Scalia. Let’s poll your clients; “Who is Antonin Scalia?”. So, you believe that some people should not have their rights protected? How do we determine exactly which people should have their rights protected and which shouldn’t? What if we decide that YOU shouldn’t have your rights protected? What if the rest of us decide that the governmental authorities should have free reign over you and do what they please? Human rights are, and must be, universal or we have no rights at all. Our rights don’t come from the Constitution. Our rights are inalienable; we just enumerate some of them in our Constitution. They define what it means to be a human being. I do somewhat disagree with Funke in that it is a “living” document, The constitution is a bedrock foundation which cannot be changed on a whim and should always be the basis for our laws. It has to be a living document otherwise you get absurd results such it doesn’t apply to black people or homosexuals, because the founders never intended the constitution to apply to them. If the founders could be brought back to life today, they would be shocked to see how we’ve manipulated their document to reach our desired results. And we, today, could never go back to living under the constitution in the way the founders originally applied it. Whenever anyone says the Constitution is a “living” document, all they mean is; “I want to say what it means”. I think it’s written in stone, it’s a legal document, a contract between the Government and the People. Don’t kid yourself. Guys like FUNKE-Bilu use the constitution to get lying, scumbag, guilty criminals off. It really is that simple. It’s about money. They make a lot of money to lie to juries. Take the right against self incrimination. It was put in the Constitution because back in the 1770s and before they used to torture confessions out of people. No man can withstand torture. Every man will eventually cave and tell you anything you want them to say after torture. So our founders, based on others use of this practice (they didn’t invent the fifth amendment they only adopted it) put the concept in the Constitution. Well, this isn’t the 1770s and we don’t torture people any longer. Now, in modern times, the fifth amendment is used exclusively to get guilty people off. They only way a guilty person has a chance of a hung jury or not-guilty verdict is if the guilty accused doesn’t testify and his lawyer weaves a good lie. The OJ trial comes to mind—a perfect example of how some smart lying attorneys can sway a jury with a clever web of lies. The fact is, an innocent person can’t wait to get up on the stand and tell his story. It’s called the truth. It’s a virtual guarantee of a hung jury or not-guilty verdict. Today, everyone should have to testify in their own trial. It would be a much more honest system than the game playing we engage in in criminal trials. I’m sure that the reading of minds, including those of dead presidents, is quite a handy tool for those who practice law. Thank you Mr. Funke for a great tribute to Justice Scalia, however, I disagree that our Constitution is a living document. It has withstood the slings and arrows from many politicians who do not obey it and from the many progressive judges who pretend they can re-interpret it according to their own social and economic preferences. I suggest we all re-read the Constitution in honor of the passing of Justice Scalia. May he rest in peace! As a retired police officer I often was on the opposite side of a trial as Funke but like him I have a great love for our constitution and what Justice Scalia stood for even when it made my job harder. We need more “original constitutionalist” as the document was written. I do somewhat disagree with Funke in that it is a “living” document, The constitution is a bedrock foundation which cannot be changed on a whim and should always be the basis for our laws. Thank you Funke for a great editorial.